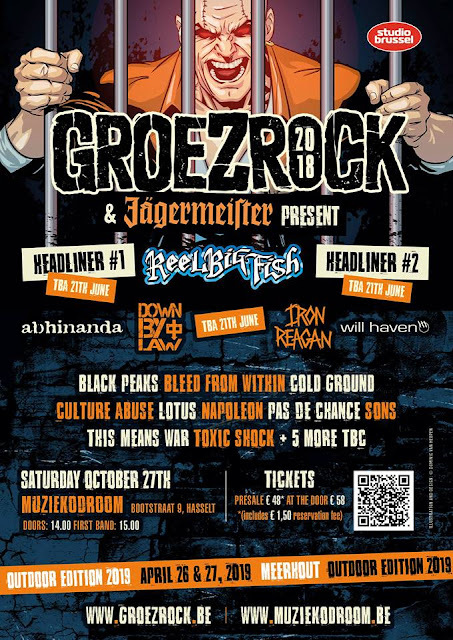 A while back, Groezrock announced that the 2018 version wouldn't take place but assured the fans that a special indoor show was in the works for late October. Today, the organizers revealed the first batch of the billing of the festival, which will take place on October 27th at Muziekodroom in Hasselt, Belgium. A second wave of bands will be announced at the end of June. Tickets are limited to 1350 and available on pre-sale. Let's see how fast this sells out. For more info visit www.groezrock.be and www.muziekodroom.be. The official outdoor festival is set for the last weekend of April 2019, as always.